Please consider joining the RSG sub-committee to ensure that your needs are effectively represented going forward, please call Pamela on 07966 595 527. This entry was posted in Fullers Slade, Milton Keynes, Our Current Projets. Between 13th November 2017 and 19th January 2018 YourMK are running a consultation on these draft offers for residents. The resident offers in are draft at this stage. It is important that you read and fully understand the offers that apply to you. 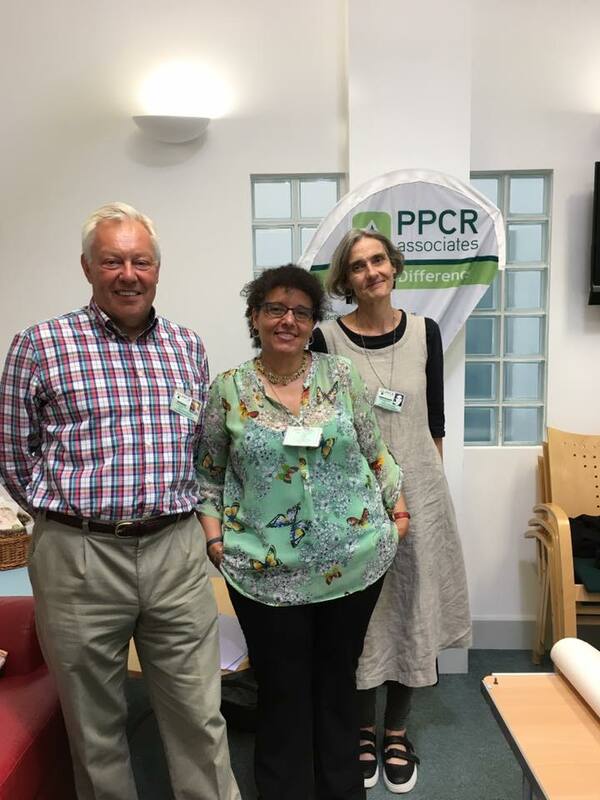 PPCR are on hand to answer your questions and concerns. Please use this form to contact us with your queries, questions and concerns. The purpose of the workshops was to explain in details YourMK’s policy Guide and Draft Resident Offers’ as part of the current consultation process. The workshops provided residents with an opportunity to raise questions with PPCR and to forward specific comments and question back to YourMK to, a) feed into the consultation process and, b) to respond to specific questions raised. These points are captured below. From the 23rd August Helen and Pamela will be knocking at your door to introduce themselves, and to find out what you think about living in Fullers Slade, how best to communicate information to you and how you want your views to be heard. PPCR are collecting the above information with a short survey. If you prefer to complete the survey online click on the link A short questionnaire about Fullers Slade and don’t forget to write your PPCR reference Number in the box at the beginning of the survey. Come to the Creating Your Community Vision on Friday 25th August 2017, 2pm to 8pm, at Spider Park. 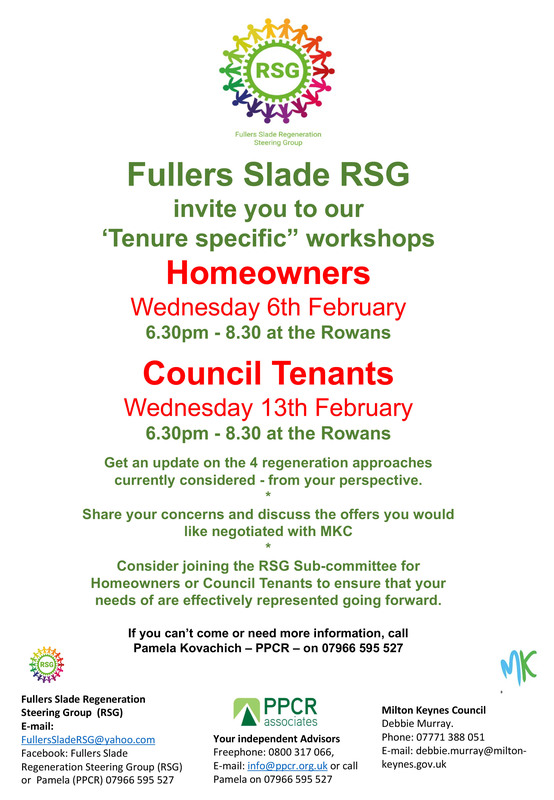 This is your opportunity to learn more about the possible changes for Fullers Slade, myth and fact, policy, refurbishment/rebuild, stock condition data. Shepeard Epstien Hunter the Masterplanners and YourMK Team will be running the event and PPCR will be there to assist you.